The goal of the Athletic Program at Gabriel Richard Catholic is to provide students with opportunities for interscholastic athletic participation and competition. Gabriel Richard Catholic encourages a highly competitive attitude within the athletic program and takes great pride in winning, however, the school does not condone “winning at all cost.” We discourage any and all pressures that lead to poor sportsmanship and words or actions contrary to the mission of Gabriel Richard Catholic. 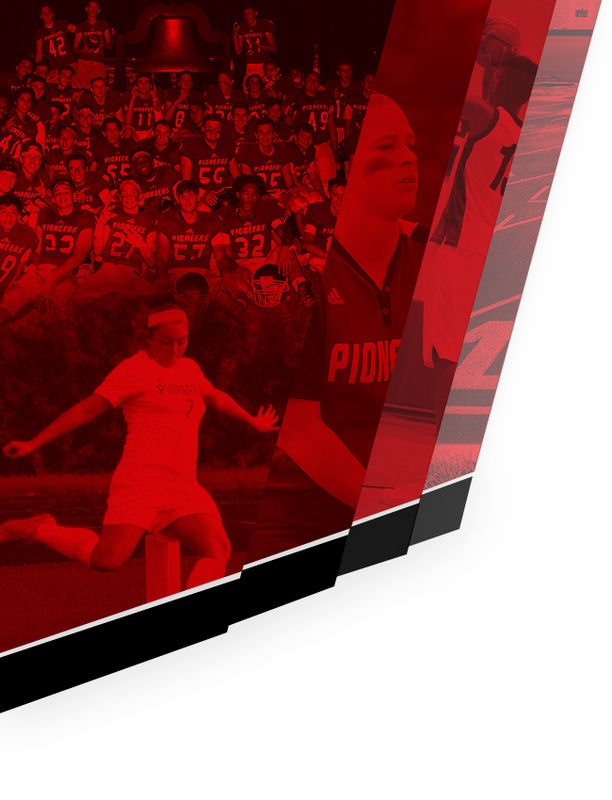 It is the goal of the Athletic Department to field teams with the best possible examples of what it means to be a part of the tradition of Pioneer Athletics. Participation in high school athletic activities is a privilege, not a right. This means that students will be held to a high standard and must work to “earn and keep the right” to be a member of a Pioneer team. With this privilege comes the responsibility to maintain the standards and conduct guidelines outlined in this handbook. While specific team rules and expectations will come from the various coaches, the following portion of this handbook is intended to outline what is expected of a student athlete at Gabriel Richard Catholic High School. Once an athlete has accepted a position on any team at Gabriel Richard. The athlete is expected to attend every meeting, practice, team sponsored event and game. The coach should be consulted at least 48 hours in advance of any conflict. Before trying out for a team, the ability to sustain the time commitment through an entire season should be considered by the student-athlete and their family. There must be 100% of commitment from the student/athlete to the team. Failure to communicate could result in suspension or dismissal from the team. Any player quitting a sport once the player has started can face suspension or dismissal from the next season season’s sport. (Ex: Student quitting a fall sport will be ineligible for a winter sport or spring sport) Students committing to a sport must continue to participate once being placed on a team (Freshman/JV/Varsity). Each case is based on an individua basis. Student/Athletes will be expected, at all times, to show model behavior. The use of indignant behavior, abusive language or profanity, physical violence, or any behavior contrary to the high standards, set by Gabriel Richard Catholic will be intolerable. If a student/athlete becomes a discipline problem can lead to suspension or dismissal from athletics. Athletes are the most visible representatives of the community. If a student accepts the honor of wearing a Pioneer uniform they also accept being held to a higher standard of conduct and discipline. The officials regulating the game are there to uphold the rules and regulations established by the Catholic High School League and Michigan High School Athletic Association. They are not responsible for a win or loss and should be treated with proper respect. Only the coach should address the official for clarification of a rule. Fighting with an opponent, official, spectator, teammate or coach is unacceptable behavior. Fighting is grounds for suspension or removal from the team. Whenever an athlete is removed from a game by an official, the athlete will immediately meet with the athletic director, head coach and if necessary, the parents, before being reinstated. The second violation of this policy within the same season will result in removal from the team and a subsequent referral to the Principals Office for school discipline. If the second infraction occurs on the last day of the season, the athlete may be declared ineligible for any other sports for the remainder of the school year and/or from the same sport the following year. grading period can be placed on academic probation. Once a student/athlete is placed on academic probation, the student must produce a progress report to the athletic director before participation in his/her next athletic contest. If the student/athletes does not show adequate improvement the student/athlete can face possible suspension or dismissal from the team. Gabriel Richard complies with the eligibility requirements mandated by the MHSAA. The following condensed eligibility guidelines should be used for initial eligibility assessment: (For clarification of any rule, including eligibility, please contact the Athletic Director). Students transferring into Gabriel Richard must comply with the MHSAA and CHSL rules and regulations. The appearance of our athletes, student managers and student trainers should be exemplary when present at any athletic event. Coaches may require special standards of travel dress for their athletes such as jackets and ties, travel sweats, game day polo, etc. Male Student/Athletes will not have facial hair and will maintain their hair with the requirements in the handbook. Students who do not adhere to this rule can face suspension or dismissal from the team. To help off-set the rising cost of athletics, Gabriel Richard Catholic has a pay to participate fee. This participation fee ($250) is due on September 1st (Fall Sports), December 1st (Winter Sports) and April 1st (Spring Sports). The sports fee is a one time fee for the entire family for the entire seasons (Fall, Winter and Spring). All inquiries for financial assistance should be directed to the athletic director. No student will be excluded due to financial hardship. An athlete’s use of alcohol, tobacco, performance enhancing drugs, vaping androgenic/anabolic steroids or controlled substances is prohibited. Gabriel Richards school policies are in effect at all games, practices and school sponsored activities and will be enforced. Any student on prescribed medication (including asthma prescriptions) should report use to the trainer and to the head coach. Use of alcohol, drugs, tobacco or vapor products is strictly prohibited. Use of these products could result in suspension or dismissal from an athletic team. Athletes will be placed under the care of the medical staff (not the coach) in the event of an injury. The medical staff will provide initial assessment and consult, with the parents care provider, a sequence of rehabilitation activities and provide treatment or referral to a doctor for continued diagnosis. Injured athletes should report to the athletic office. Any athlete referred to a medical doctor must have a signed note or letter from that doctor in order to return to participation. A copy of that note must be presented to the athletic director before the athlete returns to practices or games. Athletes with non-serious injuries that are not referred to the medical doctor can only be released by the medical personnel (not the coach) before returning to participation. The medical staff will work closely with the student/athletes doctor in the best long term interests of the student athlete. Parents play a critical role in the success at Gabriel Richard Catholic. 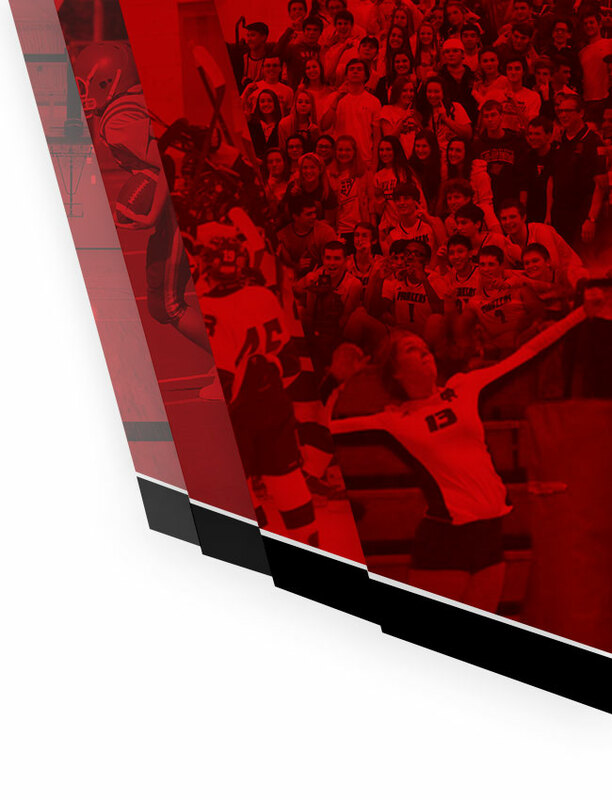 We believe that participation in athletics is an extension of the success of each student/athlete. We expect our parents to model this commitment and philosophy, and be examples of good sportsmanship and Christian behavior. The following are some things you can do to help make your student/athlete’s experience in the athletic program a positive educational endeavor. Be supportive of the coaching staff and respect their professional judgment. Follow the communication procedure outlined in this packet. Model positive behavior when attending contests. Do not support “quitting” as the best way to solve problems, but rather perseverance. Gabriel Richard Catholic believes that a positive and constructive partnership with a student’s parents or guardian is essential to the fulfillment of the Athletic Departments mission. Parents who do not support the mission, become disruptive in their relationship with the Administrators, Coaches of student/athletes or its constituents, jeopardize that relationship. Thus, Gabriel Richard reserves the right to prohibit attendance at sporting events, practices and school sponsored activities if the School reasonably concludes that the actions of any parent or guardian make such a positive, constructive relationship impossible, or otherwise interferes with the School’s accomplishment of its educational purposes. Parents at Gabriel Richard are encouraged to discuss the following subjects with coaches. If a problem should arise please make every effort to follow the steps below for a productive resolution. If you feel that your son/daughter is in an unsafe or unhealthy position, please see the Athletic Director immediately. Student/athlete contacts the coach to discuss the issue. If a resolution is not reached, the student-athlete should contact the athletic director to discuss the issue. If a resolution is not reached, the parent should contact the coach and arrange for a meeting. In the rare instance that there is still no resolution, the parent should contact the athletic director and arrange for a meeting. If after this meeting the problem continues to exist, the athletic director will forward the issue to the principal for advisement and a possible meeting with all parties involved. A student/athlete will not be eligible for practice or participation or an athletic event on the day the athlete is absent from school unless special consideration is granted by the Principal or Athletic Director. If a student/athlete is suspended from school, the athlete is ineligible to compete in games, participate in practice or conditioning during the time of suspension. This includes in school suspensions. Extraordinary Circumstances…Death (Funeral), Drs. Notice, Dentist Apt. etc. After a game – Students missing school due to games the day before can lead to suspension from a team. All extraordinary circumstances must be approved by the athletic director. Written documentation may be required. All Student/Athletes MUST have an approved medical physical to participate in any conditioning, try-outs and/or athletic sponsored event. Students that do not have an updated/approved physical is considered ineligible from any athletic participation. As a Pioneer you are a direct reflection of the Administration, Faculty, Staff and Student Body of the Gabriel Richard Family. You will always have CHARACHTER but never be one! You will…never demean or disrespect a fellow competitors, coaches or officials. You will…stand by your Commitment as a member of your TEAM. You will…stand and congratulate your opponent in defeat and be humble in victory. You will…always keep your composure. You will…always work hard in practice and in the field of competition. You will…have a positive attitude on and off the field of competition. You will…sacrifice your personnel goals for the good of the team. You will…never quit, today or tomorrow. You will…work hard no matter who is watching. You will…get up when you get knock down. You will…shut up and play. You will…give everything you have, even if it is for 12 seconds. You will…never let anyone tell you what you can’t accomplish. You will…never be a discipline problem. You will…be open to listening.